These Duel Challenges are designed to make Yu-Gi-Oh! more diverse and fun by implementing limitations that you wouldn’t normally use. Most of these challenges will require two players to take part while others may be usable online. Generate a set of random rules to use in a duel. The button will generate 4 random rules! This challenge is inspired by Yu-Gi-Oh! Forbidden Memories. 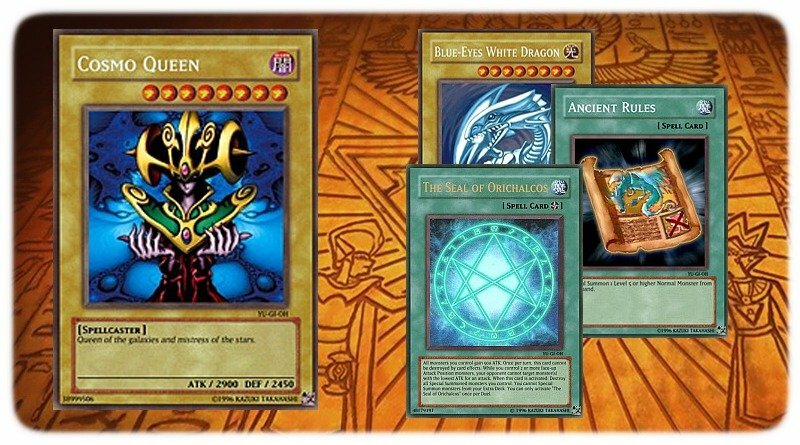 Both players will use the same deck, Duel Monsters. 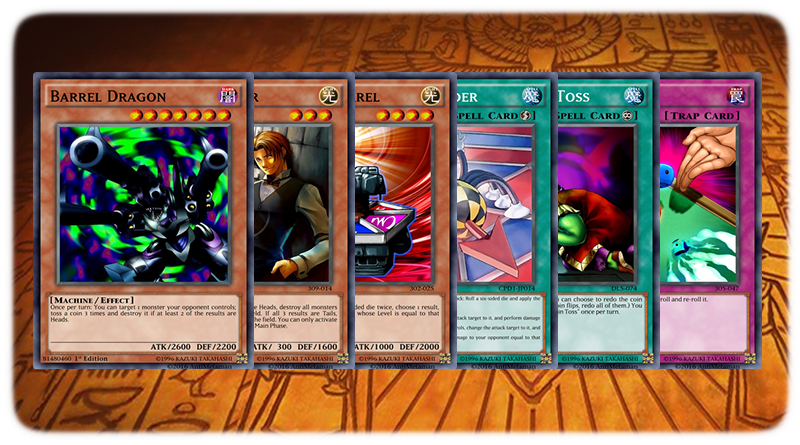 The deck consists of Normal Monsters, Spell Cards and Trap Cards. It’s full of weak monsters that you need to tribute, power-up or remove with traps. 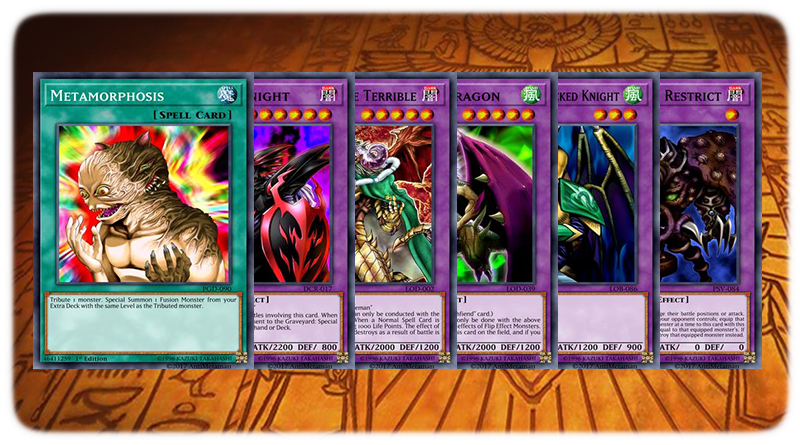 It’s a throwback to the very early days of Yu-Gi-Oh! and most games will come down to 1v1 monster battles. Requires: 2 people dueling each-other with this deck. 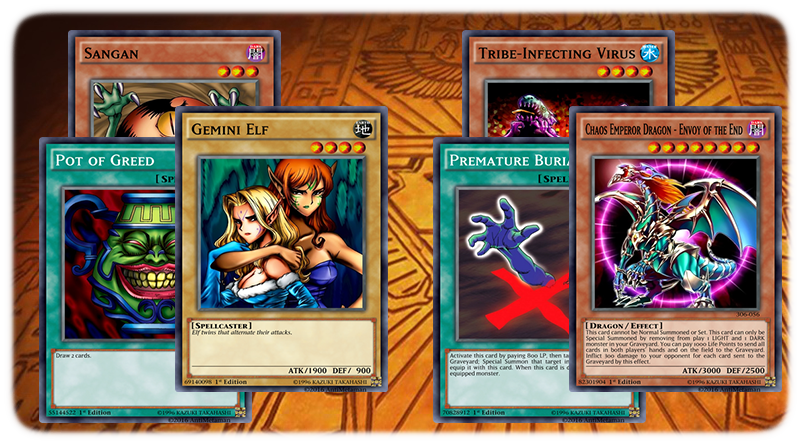 Deck Download: Duel Monsters Deck. Similar to the Duel Monsters challenge, the Normal Monsters challenges revolves around winning a duel with Normal Monsters only. 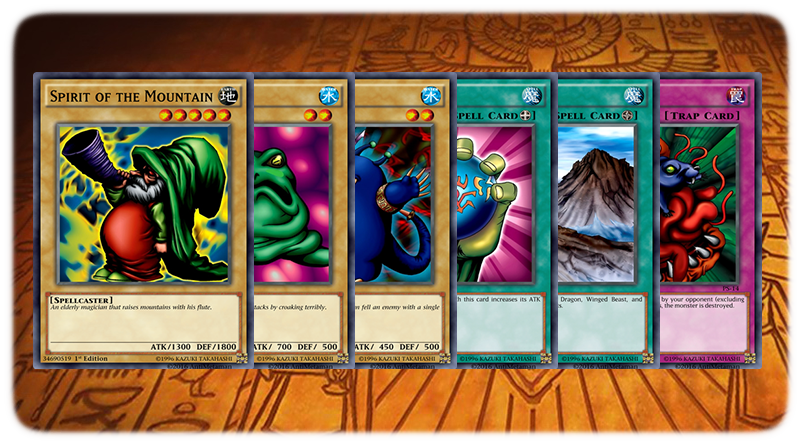 This deck has much more powerful monsters than the Duel Monsters deck and should often allow you to summon 2800+ ATK monsters which are then powered up with The Seal of Orichalcos. Requires: 2 people dueling each-other with this deck. Can lightly be used online. Deck Download: Normal Monsters Deck. Another Yu-Gi-Oh! Forbidden Memories inspired deck that this time focuses on effect monsters instead of normal monsters. Use your monster effects, power up your monsters and deal direct damage with spells against your opponent. Deck Download: Effect Monsters Deck. Can the 2003 World Championship deck beat the 2004 World Championship deck? Find out! One player will use the 2003 deck while the other will use the 2004 deck. Full of banned card goodness! Requires: 2 people dueling each-other, one with 2003 deck and the other with 2004 deck. Deck Download: 2003 Deck. 2004 Deck. Inspired by the same Rare Hunter duel from the game Yu-Gi-Oh! Legacy of the Duelist. This deck is more used to play against rather than with. 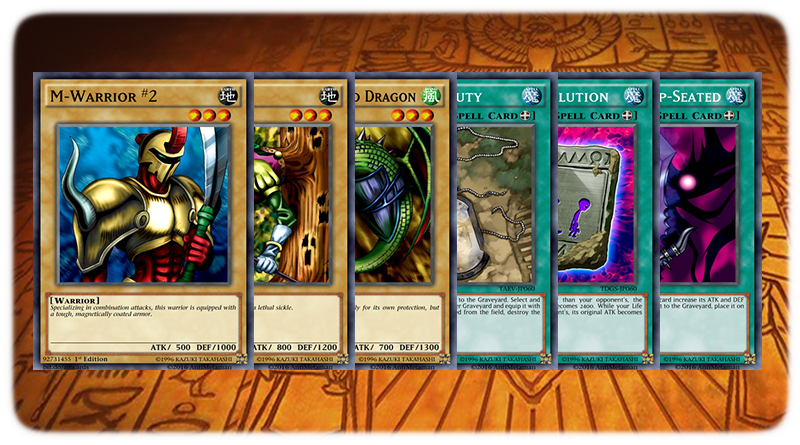 You can have your friend use the deck or have the AI (using the exodia script) use the deck. 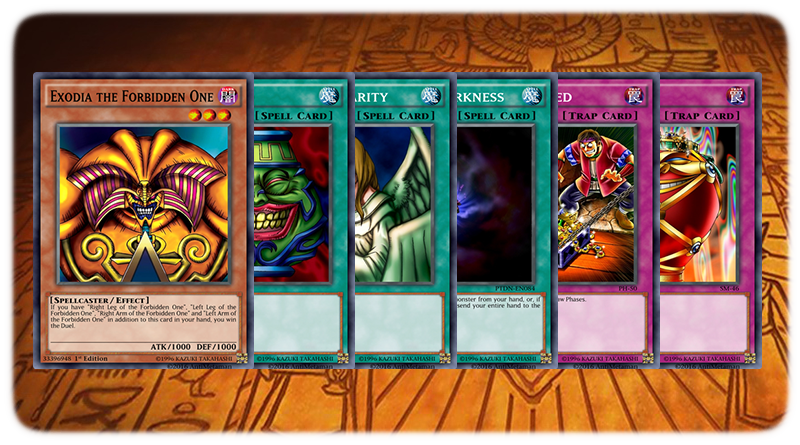 The deck contains all Exodia pieces x3 along with numerous ways to quickly draw. Don’t be suprised if your opponent wins on turn 2-3. 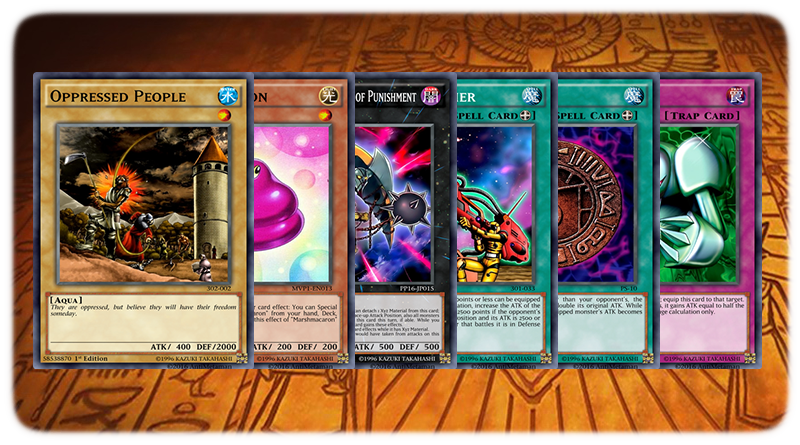 Requires: Facing one person using this deck or facing the AI using this deck. Deck Download: Rare Hunter Deck. A Dark Magician themed deck with a twist, there is only one monster in it! You control a single Dark Magician and attempt to win a duel with it. The deck is full of ways to revive it but summoning it can be a little bit trickier so it includes reloads and magical mallets to fish out Dark Magic Curtain. Requires: Facing one person using this deck (player or AI) or using it online. Deck Download: One True Magician Deck. A Blue-Eyes White Dragon themed deck with a twist, there is only one monster in it! 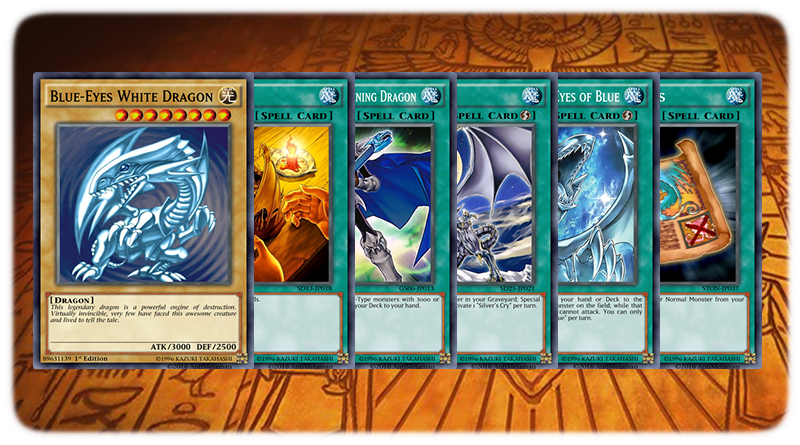 You control a single Blue-Eyes White Dragon and attempt to win a duel with it. The deck is full of ways to revive it but summoning it can be a little bit trickier so it includes reloads and magical mallets to fish out Ancient Rules. Deck Download: One True Dragon Deck. A deck with no monsters? But how do you win? By using burn spells! Try beat down your opponent with stall tactics and burn spells. 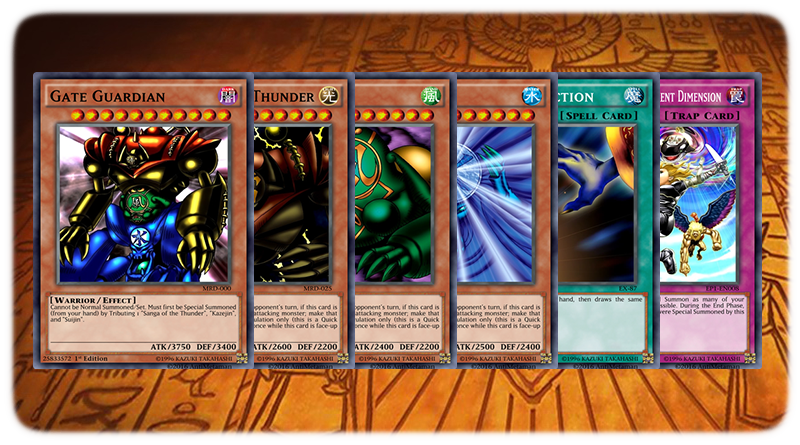 Requires: Using this deck against one person (player or AI) or using it online. Deck Download: No Monsters Deck. Are you feeling lucky? Why not try out our Gambler’s Luck challenge! Full of dice rolls, coin tosses and lots of anger! 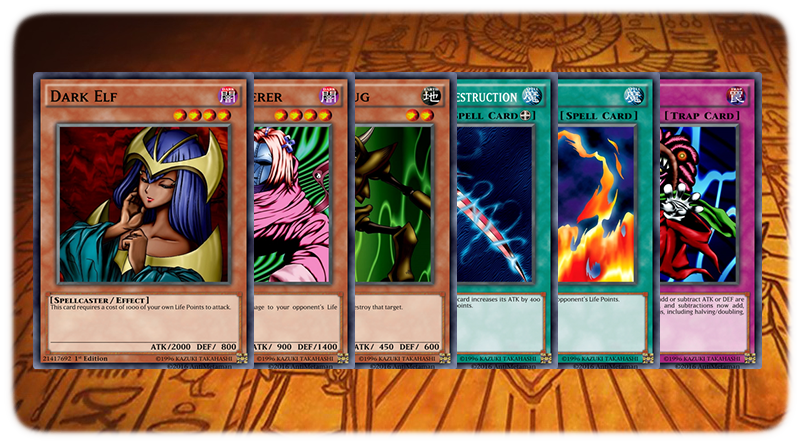 Requires: Using this deck against one person (player or AI) or using it online. AI does not use this deck properly. Deck Download: Gambler’s Luck Deck. A deck limited to level/rank 1 monsters. Use your powerful equip and stall cards to overcome the strong opposition! Deck Download: Limit Level 1 Deck. 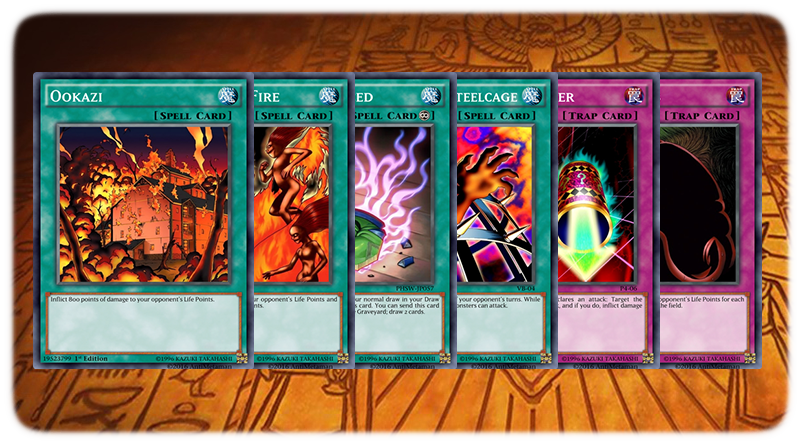 Use the mighty power of limited and banned cards to banish your Gate Guardian pieces. 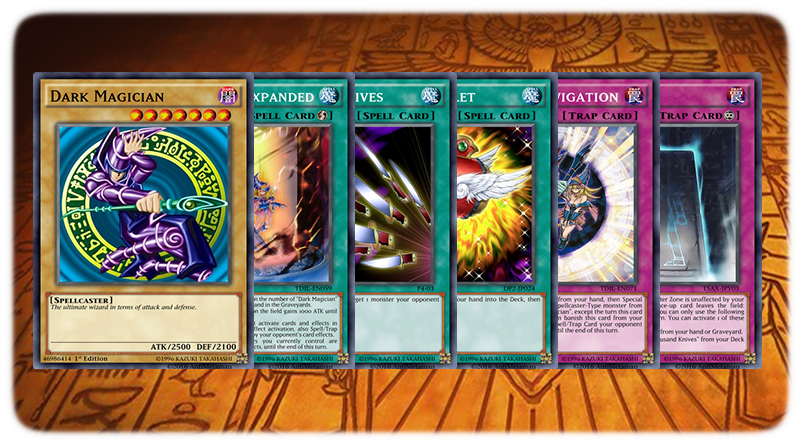 Then special summon them using Return from the Different Dimension or Dimension Fusion to bring out the mighty Gate Guardian. Requires: Using this deck against one person (player or AI). Not recommended to use online due to the amount of banned/limited cards. Deck Download: Banished Guardians Deck. Equip cards can make even the small become mighty. Use some retro Normal Monsters and equip them with powerful Spell Cards. Beat down your opponent but be careful, a Mystical Space Typhoon can undo it all. Deck Download: Power of Equips Deck. Metamorphosis is a highly adaptible card capable of bringing out the strongest of fusion monsters. If you wish to win then you must carefully plan your fusion monster attack! Deck Download: Metamorph Madness Deck. i think this page need more challenge deck with synchros, xyzs, etc. could we add the go fish deck challenge to this?